The "pays" of the PIs? - Patent my French! The “pays” of the PIs? A hardly understandable question, I know. “Pays” is the French word for “country”. As for PIs, this term refers of course to preliminary injunctions. A PI is the most dreaded weapon of right holders. But this legendary prize is also famous for being extremely hard to seize, notably in France. Although… could the trend have recently changed? One ruling in particular which was issued last June in a prominent pharma case gave rise to a lot of comments. But another ruling issued just one month later also followed a somewhat similar path. French chemical company Minakem sued two companies of the M2i group, namely Melchior Material and Life Sciences France (MMLS) and M2i Salin (M2i). MMLS owns a patent family on a method for making bromo methyl cyclopropane and bromo methyl cyclobutane. Minakem claimed ownership of this patent family and also complained that MMLS and M2i infringed its own patent No. FR 3010997, filed a few months before the priority date of the MMLS patent family. The two actions were joined as a consolidated case. The ruling reported today does not contain much information on the context of Minakem’s ownership claim. It is an order issued by the judge in charge of case management, who was presented with a motion for PI by the plaintiff. MMLS and M2i raised invalidity and non-infringement as means of defense – but both grounds of defense were rejected. Let’s start with validity first. The defendants argued that claim 1 of the Minakem patent lacks inventive step over a so-called Bayer document. A method of preparing bromo methyl cyclopropane comprising a step a) of reacting cyclopropylcarbinol with a complex of triphenylphosphite and bromine. Making reference to the problem and solution approach for the inventive step reasoning, the judge first noted that all parties agreed that the Bayer document was the closest prior art. According to this document, bromo methyl cyclopropane is prepared by reacting triphenylphosphine with cyclopropylcarbinol, and, after cooling, adding bromine. The use of triphenylphosphite instead of triphenylphosphine as a reactant: this is a one-letter difference in the name, and more importantly, three additional oxygen atoms in the molecule. The use of a complex of triphenylphosphite and bromine, instead of adding bromine in a subsequent step. Two documents were offered as secondary references, designated as D.G. Coe and Eli Lilly. D.G. Coe teaches that triphenylphosphite can be used as a reactant to make alkyl halides (a class which encompasses the bromo methyl cyclopropane at stake here). But the judge noted that, according to the document, the reaction does not work similarly with all alcohols, and in particular that it provides very unsatisfactory results with cyclohexanol. Since cyclohexanol is a cyclic compound, just like cyclopropylcarbinol, the judge was convinced that the skilled person would have been dissuaded by D.G. Coe from reacting a triphenylphosphite complex with cyclopropylcarbinol, as claimed. As for the second reference, Eli Lilly, it also discloses complexes of the type triphenylphosphite / halogen (e.g. bromine), as well as their potential use for a reaction with aliphatic alcohols, for making alkyl halides. But the document also emphasizes a new use for making vinyl halides by reacting these complexes with enol compounds. The judge concluded that Eli Lilly rather teaches to react the claimed complex with other compounds than aliphatic alcohols such as cyclopropylcarbinol. I am not sure I quite understand why the fact that the document both refers to a traditional use and to a new use of a chemical complex makes the traditional use less obvious than the new use. But on the other hand, it is true that the focus of the document is not on the preparation of alkyl halides. What I actually found to be perhaps the most instructive in the judge’s reasoning is a mention of two side arguments. This sequence is all the more important as MMLS and M2i precisely insisted on it in order to justify the inventive step of their own patent application filed in the United States, so as to discard the Bayer document which was cited as a prior art, since it disclosed a different order of introduction of reactants. They notably argued that “the particular order of the steps is essential to avoid a side reaction resulting in the opening of the tight ring, thus leading to the formation of a brominated alkene (bromobutene)” and that “this method is advantageous relative to the state of the art”. This has the flavor of a file wrapper estoppel, and one based on a foreign file wrapper, at that. But as is usually the case, this only comes as an additional consideration at the end of the reasoning in the ruling. Second, the judge emphasized that both of the proposed secondary references were fairly old. D.G. Coe was dated 1954, and Eli Lilly was dated 1980. A strong flavor of secondary indicia of inventive step, if you will. Some fairly old prior art. The other defense raised by MMLS and M2i was non-infringement. The judge in charge of case management thus had to decide whether the existence of infringement was likely or not. The process implemented by the defendants was known owing to an infringement seizure report. The main non-infringement argument was that, in the defendants’ process, bromine is used in excess in the reaction with triphenylphosphite (TPP). This leads, they said, to the formation of bromo triphenoxy phosphonium bromide as an intermediate. This is not a TPP / bromine complex as recited in claim 1 of the Minakem patent, they argued, because of the presence of the bromide ion in the intermediate. In contrast, the TPP / bromine complex does not comprise a bromide ion and, according to the description of the patent, it is obtained with an excess of TPP (rather than an excess of bromine). They also insisted that the difference is significant, as their own process leads to a lower proportion of bromo butene by-product than the claimed one. […] The scope of claim 1 of the FR’997 patent is not limited by any proportion, so that it does not necessarily and only cover a process limited to equivalent amounts of bromine and [TPP], and anyway the bromine excess alleged by MMLS and M2i is only low in view of the figures which were communicated. It is noteworthy that Minakem filed an affidavit from a chemistry professor that challenged the influence of the relative amount of bromine on the purity of the product. The judge also noted that the different bromo triphenoxy phosphonium bromide intermediate relied upon by the defendants was not mentioned by the employees who were interrogated during the infringement seizure. And that this intermediate is not mentioned in MMLS’s own patent applications either. 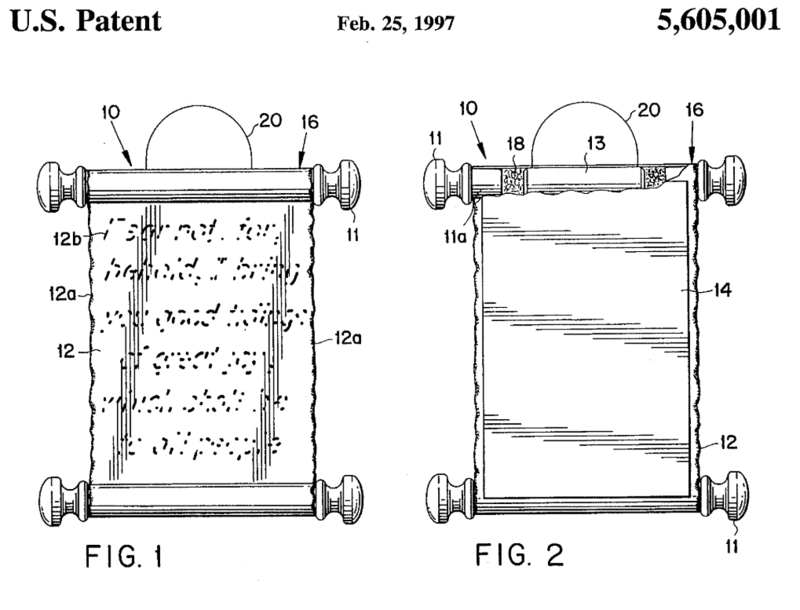 As a conclusion, the infringement of the Minakem patent was found to be likely. The judge thus granted Minakem the PI that they requested, without security in view of Minakem’s financial health. However, the judge rejected Minakem’s request for provisional damages. This is because the evidence for the proposed computation of damages offered by Minakem, based only on an affidavit of their CFO without any external auditing corroboration, was insufficient. To be continued on the merits! MMLS and M2i have their work cut out for them: it seems like they need to find new arguments if they want to turn the tables and ultimately prevail. I am especially curious to see how the ownership claim in relation to the defendants’ patent family will unfold. CASE REFERENCE: Tribunal de grande instance de Paris, ordonnance du juge de la mise en état, 3ème chambre 2ème section, July 6, 2018, Minakem v. Melchior Material and Life Science France & M2I Salin,RG No. 17/15019. Pingback: A risky launch at risk - Patent my French!